Headlights with Daylight or Angel Eyes, for HONDA. Wide online catalogue of Daylight - Dayline or Angel Eyes Headlights for your Honda. Compatible products for your Honda. Big quality and perfect fitting. One year warranty. Headlights with Daylight or Angel Eyes, for Honda Civic 1992. Wide online catalogue of Daylight - Dayline or Angel Eyes Headlights for your Civic 92. Compatible products for your Civic 92. Big quality and perfect fitting. One year warranty. 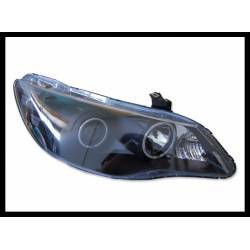 Headlights with Daylight or Angel Eyes, for Honda Civic 1999. Wide online catalogue of Daylight - Dayline or Angel Eyes Headlights for your Civic 99. Compatible products for your Civic 1999. Big quality and perfect fitting. One year warranty. 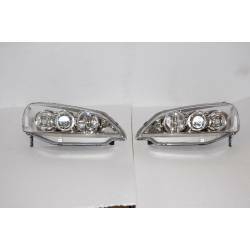 Headlights with Daylight or Angel Eyes, for Honda CIVIC 2002. Wide online catalogue of Daylight - Dayline or Angel Eyes Headlights for your Civic 02. Compatible products for your Civic 2002. Big quality and perfect fitting. One year warranty. 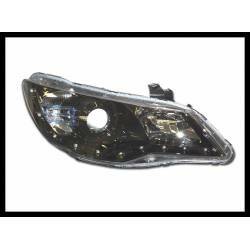 Headlights with Daylight or Angel Eyes, for Honda CIVIC 2004. Wide online catalogue of Daylight - Dayline or Angel Eyes Headlights for your Civic 04. Compatible products for your Civic 2004. Big quality and perfect fitting. One year warranty. Headlights with Daylight or Angel Eyes, for Honda CRX. Wide online catalogue of Daylight - Dayline or Angel Eyes Headlights for your CRX. Compatible products for your CRX. Big quality and perfect fitting. One year warranty. Headlights with Daylight or Angel Eyes, for honda PRELUDE 1992 - 1995. Wide online catalogue of Daylight - Dayline or Angel Eyes Headlights for your Prelude 92 -95. Compatible products for your Prelude. Big quality and perfect fitting. One year warranty.